So I wasn’t able to post a foodie Friday post last Friday, but it was my birthday and I was vacationing with the family. Much needed! Anyway, I’m posting today with my first potato harvest! The picture above was what I pulled out of the orange laundry basket I used to plant potatoes. Didn’t take too long, about 6 weeks and I had lots of little potatoes. The orange basket negated any gophers getting at my papas. 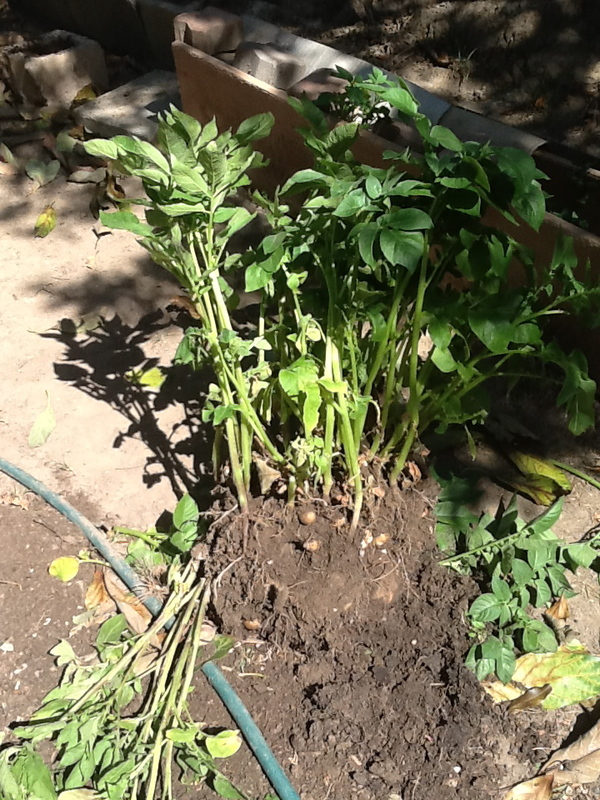 I had planted about 3 small organic potatoes, and these are the ones that grew-and very quickly! I also threw in 3 non organic potatoes. Those did NOT grow at all. They just took up real estate and rotted. They smelled awful! Like chemical rot and bad breath. From now on I am sticking to organic. I learned my lesson! 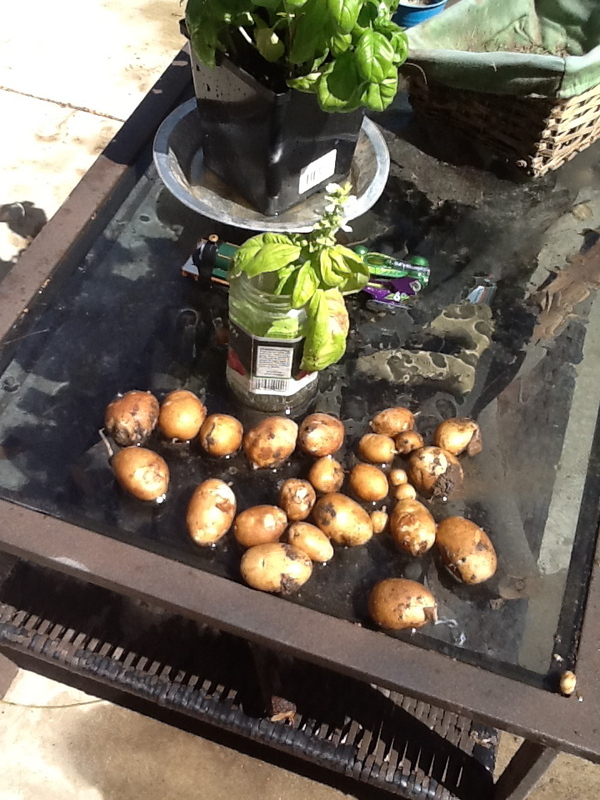 I put some of the stalks back in the basket with more soil because there were a lot of little mini potatoes just starting to grow, so I’m looking forward to harvesting more potatoes in a few weeks. Not bad for my first potato experiment!